The Event Single Function Shower System is both reliable and stylish and delivers a superb showering experience. Featuring an automatic shut down if the cold water pressure should suddenly fail and is limescale resistant. 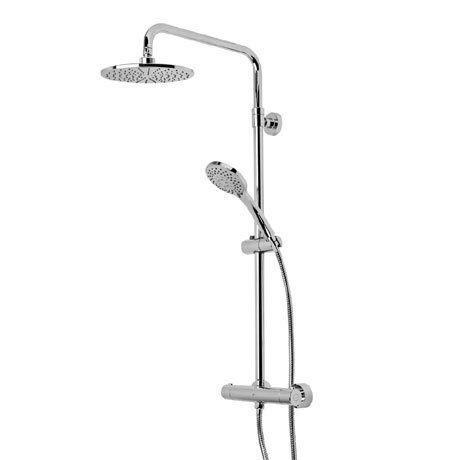 Package includes a thermostatic diverter bar valve, a bar valve quick fixing kit, height adjustable rigid riser rail, 220mm shower head, Air-drive 5 function shower handset and an easy clean PVC shower hose. Air-drive handsets are water saving creating an aerated bubble spray that uses less water. We are yet to install it. But it looks good quality.